Get rid of unwanted hairs easily with these natural hair removal remedies. All of these are chemical free but work as good as store bought once. 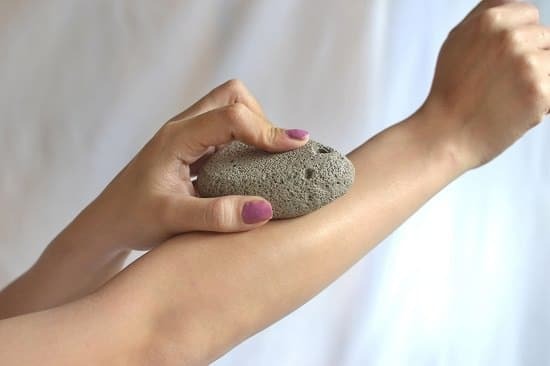 Pumice stone is one of the easiest and cheapest natural hair removal remedies you can easily find in many grocery stores. The porous texture of this stone removes the hair due to abrasion against the skin. Hairs stick to the surface of the stone when you rub it over the skin. It’s advisable to lubricate the skin using a body wash or shower gel. To use it, rub the wet stone on a small area in both clockwise and anticlockwise directions repeatedly till all the hairs come out. Follow the same process for the whole body. Wash with lukewarm water and don’t forget to apply moisturizer after patting the skin dry. 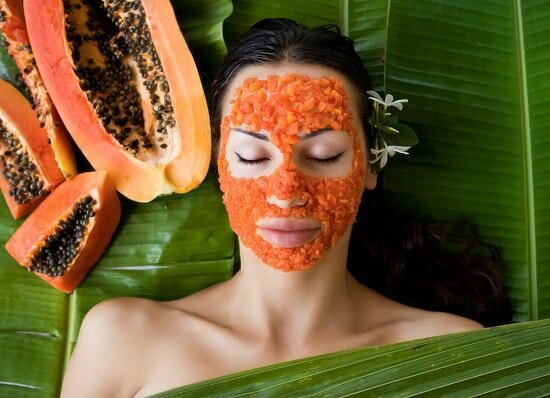 For a more permanent solution to hair removal go for papaya paste. Papaya is rich in papain enzyme that is known to weaken the hair follicles and with each successive use, it reduces the chances of hair regrowth. To make this, add two tablespoons of mashed papaya pulp to a half tablespoon of turmeric powder to form a paste. Massage it on the hair removal site and let it sit for 15-20 minutes. After that, wash with tepid water and pat dry. Make sure to use this paste 2-3 times a week for optimum results. If you have used an egg mask for the skin, you may know that it creates a thin layer over the skin after drying up. This sticky layer when peeled off also pulls the hair. 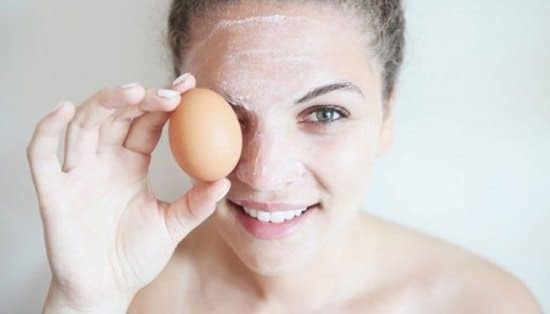 To make this egg mask, mix one egg white with one tablespoon of sugar and half tablespoon of cornflower. Apply this paste on your face and leave it to dry for 15-20 minutes. 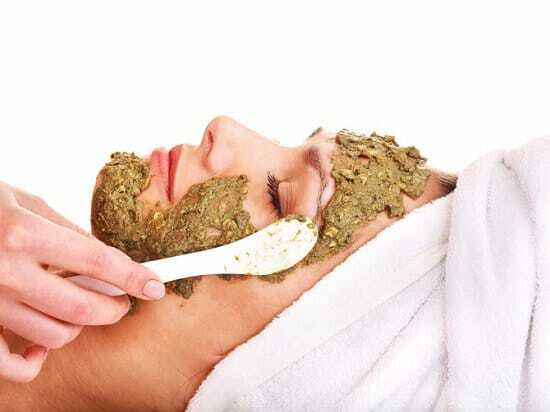 Peel off the mask to not only get rid of hairs but also nourish it. It also helps in skin tightening and boost collagen production. For thick and coarse hair this remedy is not that effective, but it’ll do well if you want to get rid of thin and soft hairs. 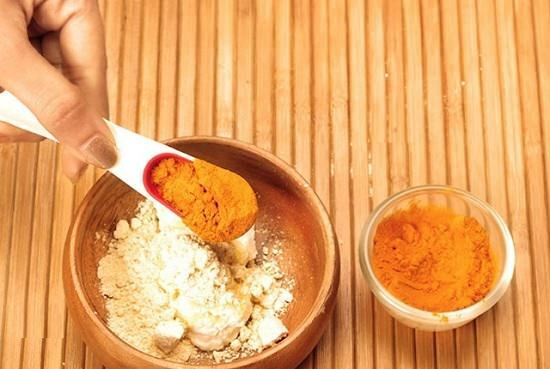 Take a cup of chickpea flour, half tablespoon of turmeric, and a few drops of milk in it and mix thoroughly. Apply this paste in the direction of hairs and let it sit for 20-25 minutes. Now using a washcloth wipe it off gently then wash with lukewarm water. As the skin becomes dry after using this paste, don’t forget to apply the moisturizer. Sugar crystals when melted can be used in the same way as wax for hair removal. Take a tablespoon of honey, lemon, and sugar each in a metal bowl and mix them together. Place the bowl on a double boiler and heat it till the sugar crystals melt completely. Add cornstarch if your paste is thin and water if it is too thick to improve the consistency. Apply it on the skin in the direction of hair growth using a wooden spoon. Place the waxing strip on the sugar mix and gently pat on it. Rip it off after some time when it has cooled off and hardened a bit. Congrats now you have smooth and hair-free skin! Fine hair growth can be kept in check with the use of oatmeal paste. To make this paste, you’ll need one tablespoon oatmeal paste, two tablespoons of honey, and two tablespoons of lemon juice. Thoroughly mix all the ingredients together in a bowl to make a paste of fine consistency. Apply this paste on the hairy area and leave it on for 15 minutes. The next step is to wash it with warm water and apply moisturizer. Use this remedy two-three times a week for the best results. 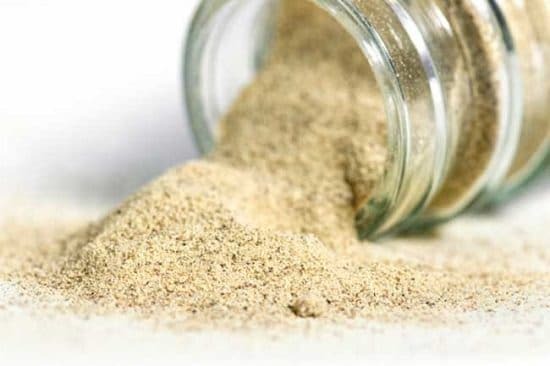 For people with sensitive skin, this wheat and barley paste is a safe option for getting rid of unwanted hairs. 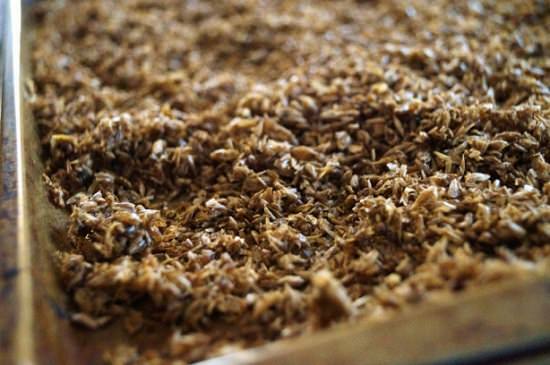 Add a tablespoon of milk and rosewater to a tablespoon of wheat bran. Mix all these ingredients until you obtain a paste of uniform consistency. Apply this paste on the skin and start scrubbing right away, continue scrubbing till the paste becomes dry. You can also add a tablespoon of lemon juice for the bleaching effect. As scrubbing might irritate the skin, apply moisturizer after each use. The growth of unwanted male patterned hairs in women is a condition known as “hirsutism.” According to a study conducted in 2013, the application of this mix of tea tree and lavender oil can potentially reduce the abnormal hair growth. 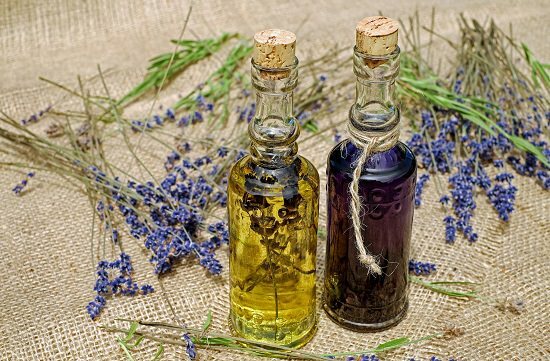 Four to six drops of tea tree oil in a tablespoon of lavender oil will do. Although the researches found out that it takes around three months of continuous application of this oil blend twice a day for visible results. So for this remedy to work you need to be patient. 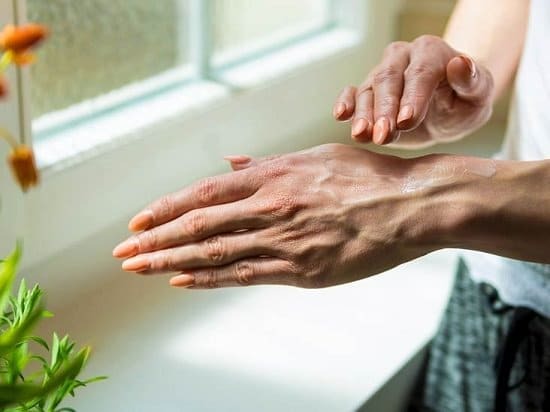 This paste of potato juice and lentils sticks to the surface of the skin when it becomes dry and removes the hair with it as it’s scrubbed off. Plus, the high content of catecholase in potato has a bleaching effect and makes the hair less visible. To prepare it, soak a bowl of lentils overnight in water and grind them to make a smooth paste. Now extract the juice of one potato after peeling and add it to lentil paste. Pour a tablespoon of lemon and honey each in this paste and mix well. Apply this paste on the skin and keep it on for 20-30 minutes during which it’ll dry completely. Remove this paste by rubbing it with your fingers. NOTE: Take a path test to make sure that you are not allergic to potatoes. To make this excellent remedy, just add an equal amount of fenugreek powder and green gram powder in a bowl and add water to it. Continue stirring this mix until you obtain a paste of uniform consistency. Using fingertips apply this paste on your face evenly and let it sit for 15 minutes. After drying, rub your skin gently with a dry cloth. Wash your face and use this remedy daily to get rid of all unwanted facial hairs. This treatment is only to remove hairs from the legs as it’s very potent can cause harm to the sensitive skin of the face, back or other areas. Mix two tablespoons of finely ground white pepper and camphor each and add one tablespoon of almond oil in it. Stir the ingredients so that they form a paste. Apply this paste with your fingertips in the direction of hair growth. Wait for 15 minutes then immediately wash it off as waiting too long can irritate the skin. If the skin feels irritated wash your legs with warm water and apply a moisturizer.